Firstly we need to say a big thank you to everyone of you who has pushed our campaign up near the top of the leaderboard on Global Giving. 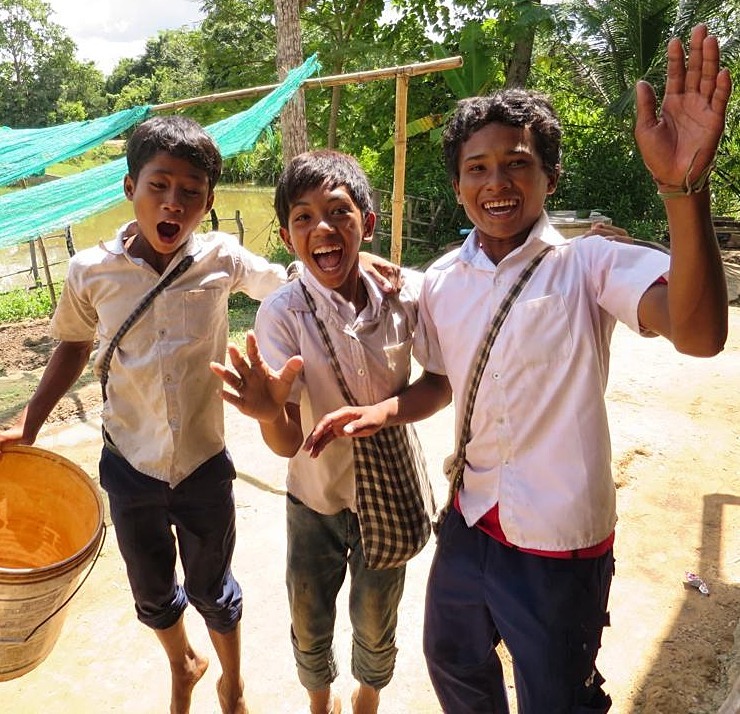 So many small donations really do add up and these funds mean that we can continue to invest in great education and support for every single child at Helping Hands Cambodia. We still have fundraisers in Cambodia and England planned. Read on for all events. Please come, invite your friends and donate in support. Wednesday 24th June, 6-7.30pm, Siem Reap Hostel: Donation-based Introduction to Yoga, $5, all proceeds to HHC. All of June: Special offers at Charlies Bar, Siem Reap, with 50% of proceeds directed to Helping Hands Cambodia. Friday 3rd July, 8pm: Bingo Night at Rosy Guesthouse, Sim Reap. There are incredible prizes to be won including a Sojourn Hotel stay, FCC hotel treats and much much more. $2 per entry, all proceeds to HHC. Saturday 11th July, 2-5pm: Games Afternoon at Sister Srey Cafe, Siem Reap. Cambodia-Fete style games with spot prizes throughout the afternoon, including vouchers for Backstreet Academy, Asana Cocktail Class and Khmer Ceramics. All donations to HHC. Saturday 11th July, England: ‘Helping Feet’ Charity Walk – 10 miles along the beautiful White Cliffs of Deale in Southern England. Join the group, hold your own or sponsor their effort. Details here. Keep following our progress on Global Giving here. The more we may raise, the more we may be eligible for extra donations direct from Global Giving. And of course the bigger impact we can have on the ground in Cambodia. information to help you. Click on the Global Giving link below to add your donation to the total. From the 8th June 2015-13th July, Helping Hands Cambodia has the opportunity to go GLOBAL and your small change can help us create BIG CHANGE in Cambodia! We’ve been accepted onto GlobalGiving.co.uk, a fantastic charity platform which gives small NGO’s like us the opportunity to access funding from around the world, and we need your help! For the next TWO WEEKS, we challenge you to save your small change including coins and small notes, and on Sunday, 21st June, count up your change and make a donation in the same amount to Helping Hands Cambodia via GlobalGiving.co.uk. It’s not just you who can get involved. Challenge your family, friends, work colleagues and classmates to see who can make the biggest change. Are you in? We want to hear from you! Post on our Facebook Page that you are IN for the ‘small change for BIG CHANGE challenge’. The small change challenge is part of a bigger campaign to raise US$4000 by 13th July 2015. You’ll hear more about this in the coming weeks. Helping Hands Cambodia staff are IN for the challenge! Will you join us in turning your small change into BIG CHANGE? Helping Hands is a non-profit charity based in Cambodia. The work we do would not be possible without donor support. If you are able to become a regular donor or support us with a one off donation, please do! You can donate securely via Paypal or email us at helping.hands@globalteer.org for more details. Be sure to follow us on Facebook and Instagram for regular updates or visit our Website as well.